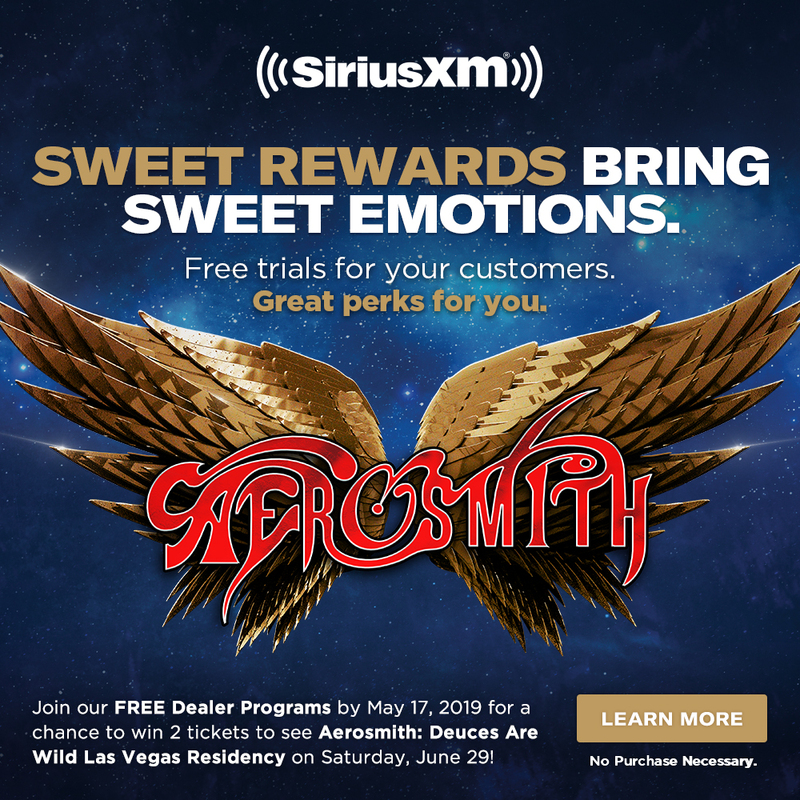 * DETAILS: SiriusXM Music for Business service shall be made available to Dealer solely to the extent that Dealer is actively participating in each of the SiriusXM Pre-Owned Program (enrolled in separately) and Service Lane Program (enrolled in separately). Dealer shall use the SiriusXM Music for Business service in its showrooms and/or service areas and may not sell or transfer such beneﬁt to any third party; Dealer shall not provide its log-in credentials for streaming Music for Business for use by anyone other than Dealer. Dealership Beats subscription to SiriusXM Music for Business is free (a $300/yr. savings) and will renew annually thereafter, for as long as Dealer participates in all available and applicable SiriusXM Dealership Programs. See the SiriusXM Customer Agreement for Business Establishment Services at www.siriusxm.com/siriusxmforbusiness. SiriusXM may modify or terminate, in whole or in part, the Dealership Beats benefit at any time in its sole discretion without notice. SiriusXM’s discontinuance of the Dealership Beats beneﬁt shall not automatically terminate Dealer’s participation in the SiriusXM Pre-Owned Program or Service Lane Program. See our Customer Agreement for complete terms at www.siriusxmdealerprograms.com | www.siriusxm.com. All fees and programming subject to change.